Fill your feasting table with an array of sumptuous gourmet delights with our Ham Brunch Banquet. 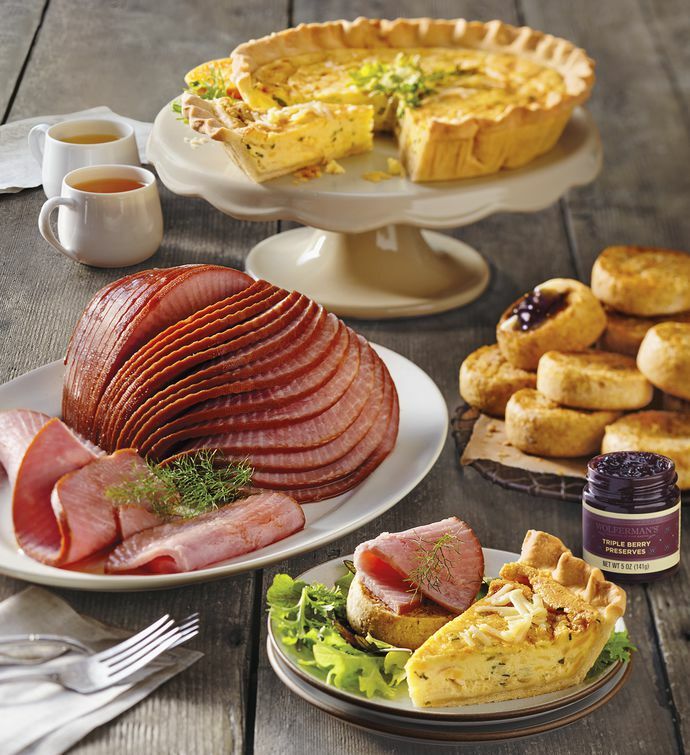 Enjoy a mouthwatering sliced ham with honey glaze and a flavorful triple cheese and caramelized onion quiche—both arrive pre-cooked and ready to heat and serve. We've also included multi-grain honey mini English muffins and fruit preserves for toasty treats to serve on the side.